This royal treatment infuses real gold to visibly reduce the look of wrinkles and fine lines, giving the skin a brighter, luminous glow. This powerful formula is enriched by açai fruit extract, vitamin E and Sodium Hyaluronate to bind moisture to the skin and balance out skin tone. 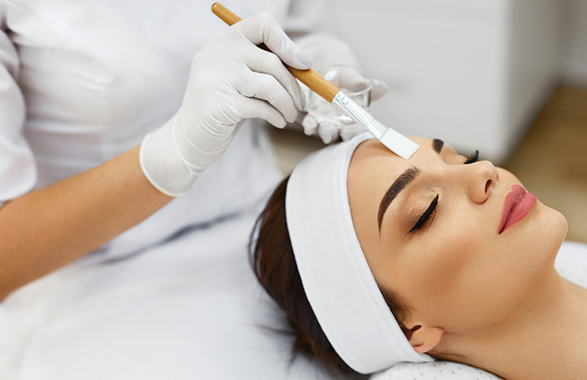 This treatment combines a light chemical peel with radio frequency or ultrasound treatment for skin tightening, as well as advanced LED therapy. 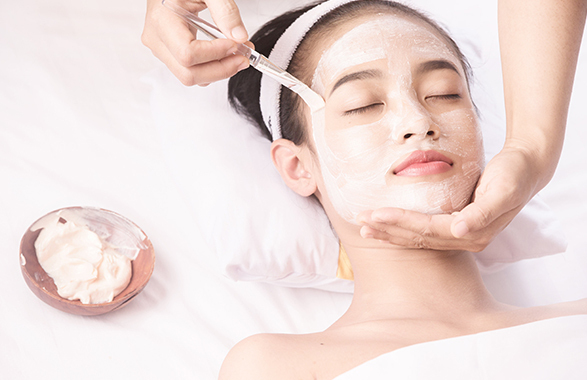 The Brightening Facial for Hyper-Pigmented Skin is a gentle treatment to visibly reduce the appearance of skin blemishes, discoloration and age spots. The advanced formula contains Kojic Acid, vitamin A and vitamin C to brighten and balance overall skin tone, leaving the complexion dewy and radiant. This treatment combines a light chemical peel, radio frequency skin tightening and LED therapy on areas of major concern. This is a three-part treatment to provide unparalleled care for the skin. The 24K Cleopatra Gold Sheets enrich the skin with the luminous benefits of gold, which help to promote the skin's natural radiance and smooth away unwanted facial lines. 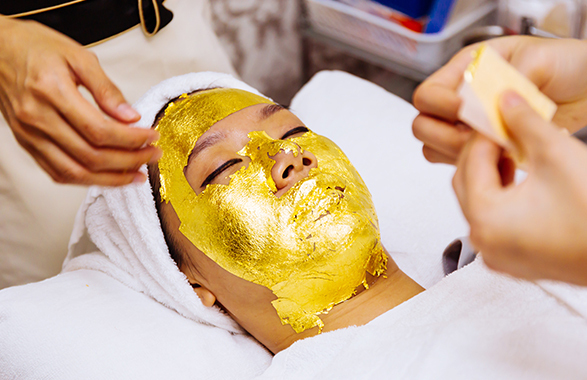 This luxurious treatment combines a 24K gold sheet mask with a light chemical peel, radio frequency or ultrasound treatment for skin tightening, and LED therapy on areas of concern. The Collagen Regeneration Facial restores the look of volume in the skin, giving the face and neck a firmer, smoother look. Enriched with seaweed and collagen boosters, this facial delivers much-needed nutrients to the skin. This treatment combines a light chemical peel with radio frequency or ultrasound treatment for skin tightening, as well as advanced LED therapy on areas of major concern. 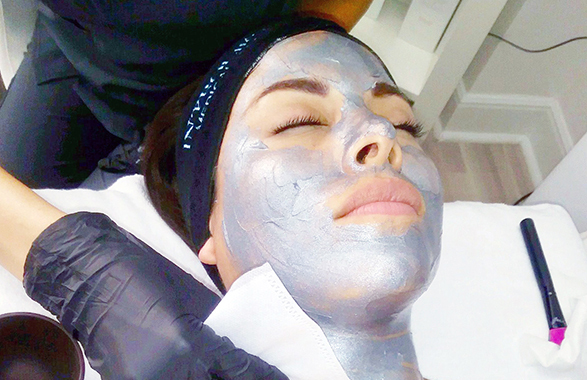 The skin will look energized and glowing after treatment. The Cryogenic Correction is designed to ‘freeze’ the effects of time by delivering a potent infusion of green tea, caffeine, chamomile and diamond dust to the skin. This skin-restoring formula will boost the skin’s natural radiance and smoothness, promoting its overall glow. 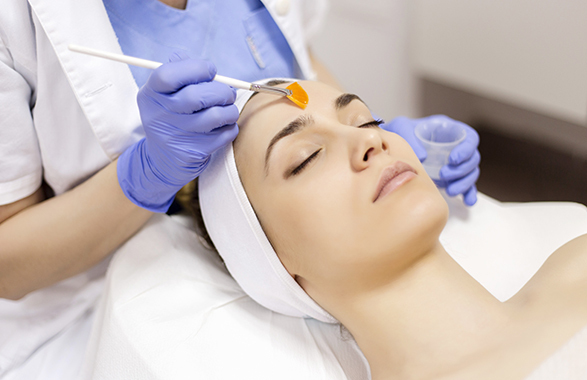 This treatment combines a light chemical peel with radio frequency or ultrasound treatment for skin tightening, as well as advanced LED therapy on areas of concern. 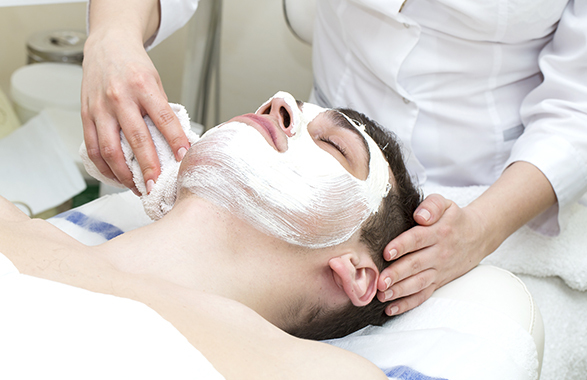 Even though all our spa services are available for men, the Introlift for Men facial is specifically designed to address the specific skin needs of men. 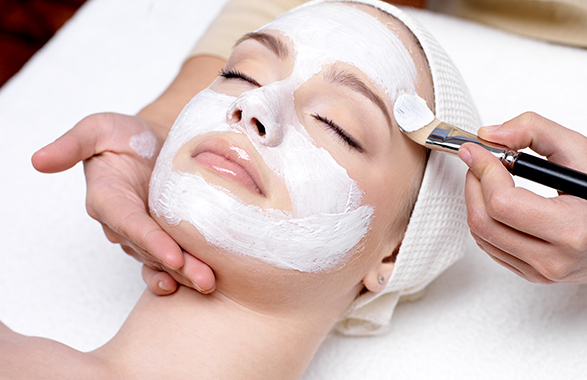 This facial softens the skin around the face and jaw for a sharper, more energized look. This treatment combines a detoxing therapeutic mask, a light chemical peel, radio frequency skin tightening and advanced LED therapy. It also includes a Volcanic Mask, infused with kaolin and zeolites, to deeply un-clog pores and purify the skin, promoting radiant skin vitality. Specifically designed for the skin of adolescents, this facial targets persistent skin issues for a cleaner, fresher complexion. This treatment combines a salicylic peel with high frequency and LED therapy to deeply cleanse the skin and provide intense moisturization. This gentle facial reduces the occurrence and visibility of pimples, blackheads, redness and excessively oily skin for a smooth, matte complexion. Preparing for an important event? Treat yourself with the Pre-Event Facial, which features the powerful anti-wrinkle ingredient, DMAE. Also known as dimethylethanolamine, DMAE instantly smooths and tightens the appearance of fine lines and wrinkles on the face and neck. 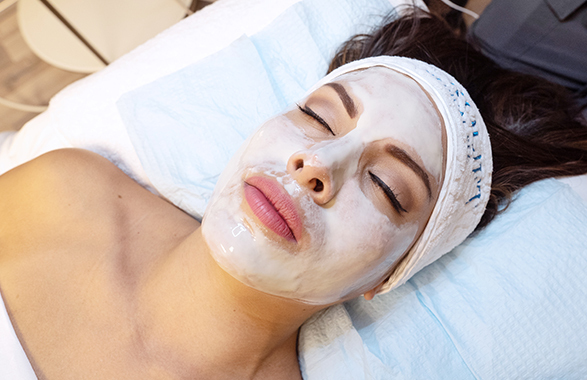 This facial combines a light chemical peel with radio frequency or ultrasound treatment for skin tightening, as well as advanced LED therapy on areas of major concern. It’s the best 9-1-1 treatment before an important event. This is a non-abrasive skin revival treatment using hypoallergenic, minimal fragrance products and delicate cleansing solutions. Using innovative peptides with natural soothing ingredients, this facial effortlessly promotes the appearance of soft, hydrated, elastic skin. 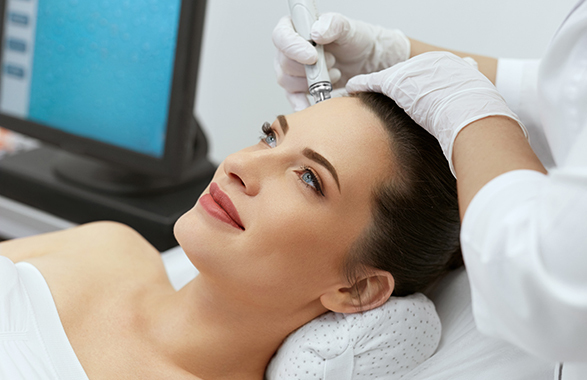 This treatment combines a light chemical peel with radio frequency or ultrasound treatment for skin tightening, as well as advanced LED therapy on areas of major concern. 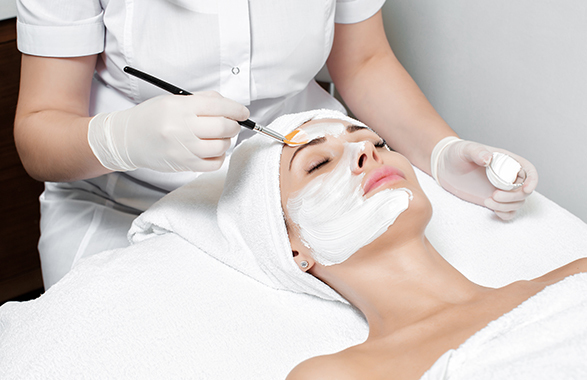 You can expect a refreshed and energized complexion after treatment. 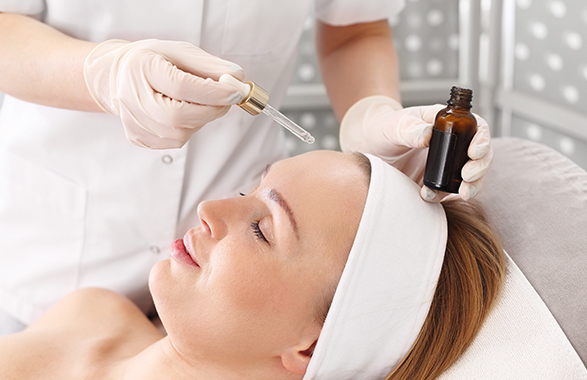 This triple-action facial is Introlift’s most popular treatment for detoxification and anti-aging. It loosens impurities from the pores, deeply cleanses the skin and allows topical ingredients to be more effective. This treatment combines a light chemical peel with radio frequency or ultrasound treatment for skin tightening, as well as advanced LED therapy on areas of concern, helping you regain vitality, moisture and radiance in your complexion. The Vitamin C Signature Facial instantly boosts the skin’s radiance by delivering an enriching formula of vitamin C and Retinyl Palmitate. By targeting the appearance of dark spots, fine lines and puffy-looking eyes, this facial will refresh and brighten the skin, giving it an improved luminosity and clarity. This treatment combines a detoxing therapeutic mask, a light chemical peel, radio frequency skin tightening, and advanced LED therapy. It can be customised according to specific concerns, in order to best accommodate your skin needs. This treatment is the only hydradermabrasion procedure that combines cleansing, exfoliation, extraction, hydration and antioxidant protection simultaneously, resulting in clearer, more beautiful skin with no discomfort or downtime. Start your skin maintenance program now with the RF Aqua Face Lift treatment to slow down your skin's aging process and delay the need for invasive procedures.